22 x icons over HERE @ liadtbunny. Categories: gen, het. Warnings: No Archive Warnings Apply. 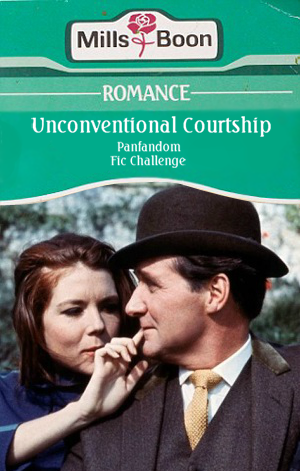 Relationships: John Steed/Emma Peel, Cynthia Wentworth-Howe/Male OC. 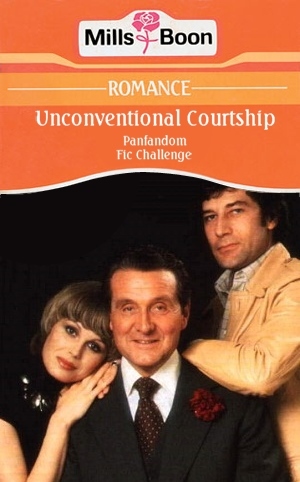 Characters: John Steed, Emma Peel, Cynthia Wentworth-Howe. Additional Tags: Valentine’s Day, Panto-mania. Summary: Steed finds a statuesque beauty. Emma acts as a fairy Godmother. Notes: Well, that’s what I think anyway! Summary: Steed wants to prepare for the Artic. I don't know a lot about this, but apparently there's a new Avengers comic coming out in July. WHY WE LOVE IT: We love our pop culture history and STEED AND MRS. PEEL, the original Avengers, are a cornerstone of the foundation of modern spy fiction. We’re honored to contribute to a legacy that spans over 50 years. This time, Ian Edginton (Hinterkind, Leviathan) joins us as our first English writer on the series for epic Spy-Fi action. WHY YOU’LL LOVE IT: The classic Avengers television show was one of the first British television shows to cross the Atlantic in the mid-1960s. John Steed and Emma Peel were instrumental in forming our view of smart, stylish spy heroes and Edginton will take them on their strangest, most psychedelic adventure yet. WHAT’S IT ABOUT: When an old associate of John Steed is killed, a grand conspiracy is suspected. This will take Steed and Peel to a strange village, where one of the spies finds themself a prisoner. Summary: Frank finds himself down a dark and not so lonely street, Steed and Mrs Peel are in pursuit of a drink. A prequel to my Avengers/Callan crossover; Eton Mess. Both can be read without knowledge of the other. It's rough, but I'm more interested in writing down other fics in my head and I wrote it quite a while ago. Title: Snapshots (432 words). Author: Liadt. Fandom: Callan (TV), Avengers (TV). Rating: General Audiences. Category: Gen. Warnings: No Archive Warnings Apply. Characters: David Callan, John Steed. 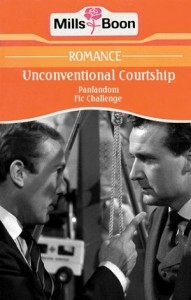 Summary: When Steed first met Callan. 14 x icons made from screencaps of Bullseye. One of my fave episodes. I haven't seen anything on this community on Big Finish's new range of audio dramas based on the David Keel-John Steed era of The Avengers. Anthony Howell is playing David Keel and Julian Wadham is playing John Steed. Each cd will have four episodes or so. You can pre-order the sets over here both as CDs or digital. There is also a short trailer you can listen to under the first set already. I love their Doctor Who productions so I'm curious how these will turn out. Characters: David Callan, Cathy Gale, Lonely, John Steed. Summary: Lonely seeks a lady. Cathy finds Steed's gone walkies. And 1x random Emma Peel. Fills have been coming in for some of The Avengers and The New Avengers prompts, so I thought I would post a link to the Obscure and British fills post. 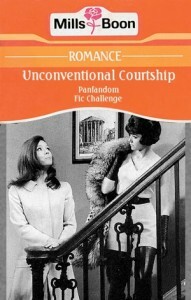 A commentfest for all kinds of fanworks for small to medium fandoms and as Mrs Peel is mentioned how could I not pimp it & put in a few promps for Mrs Gale? Click on the banner for the link.